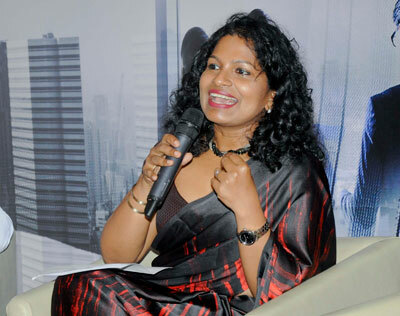 The Sunday Times Business Club organised a panel discussion titled “Crisis in Employment” on Wednesday at the Kingsbury Colombo. 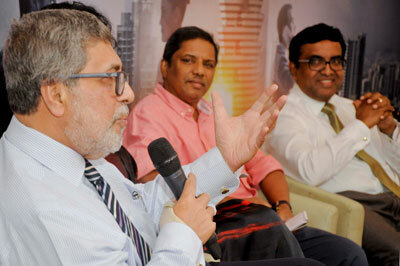 In the picture from left: Fayaz Saleem, Principal Consultant/MD of Executive Search; Rozaine Cooray, Business Psychologist and founder of Forté Consultancy (covered but shown in inset); Feizal Samath, Business Editor – Sunday Times; and Isuru Tillakawardana, Deputy General Manager – HRM, Commercial Bank. Pic by Ishanka Sunimal. A detailed report of the event will appear next week.